We are a game and hobby store located in Northeast Ohio, just outside of Cleveland. 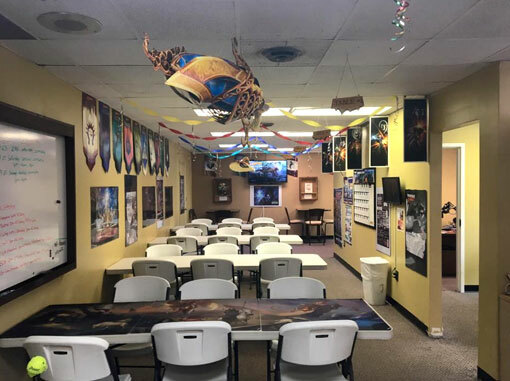 We strive to be a casual gaming and hobby center for men and women of all ages where you can enjoy all manner of CCGs, Role-playing, Miniatures and Board Games. We have daily events going on for everyone. 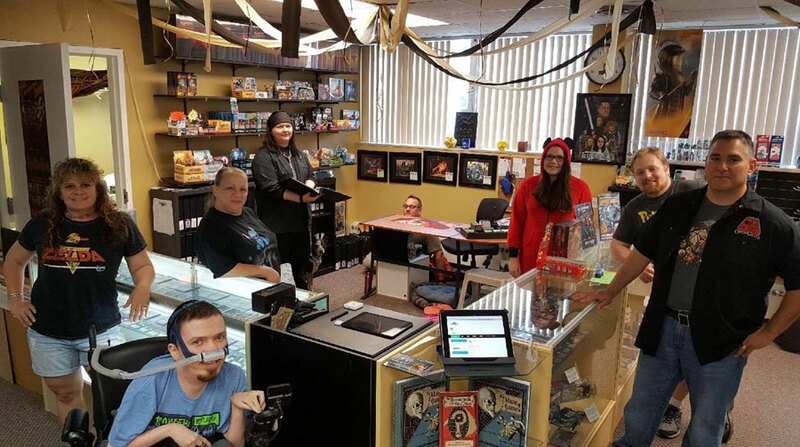 We host many different types of events in our clean family oriented store that’s perfect for the casual gamer. Below are just a few of the different types of ammenities that set us apart from the rest. All the latest releases and a demo library that is open to all customersto use in store. We have 2 areas dedicated for gaming that are set apart from the retail space. We regularly host Magic, RPG, Miniature and Board Game events in both rooms. We make a point to greet each customer who walks through our door. Need help with a product? Just ask one of our staff. Keeping the store clean and clutter free is one of our top priorities.  A safe and clean gaming experience is second only to the casual fun that we promote. Our events are geared for the more casual gamer, but occasionally we have competitive events.. Most of our customers are here for fun and we provide the atmosphere to make that happen. It’s also a great time to learn a new game. This place has it all – a great space, an awesome selection, the best staff, and a bunch of friendly regulars. If you like tabletop gaming, you need to check this place out. Had a wonderful time playing games tonight with my friends and family. I needed the laughs and relaxation. The lady who was working was so sweet. Definitely a hidden in gem!!! A bit difficult to find, it’s in a strange place…for a gaming store that is. Great selection, lots of room to play games, neat, clean, organized, well maintained shop, friendly staff, and a cool dog! Immortals Inc. Podcast is the pet project from the minds of Carlos and Brock as they discuss the joys and problems of owning, running and playing at a game store and dealing with craziness of this hobby. Drawing from over 55 years of combined gaming experience, they discuss gaming history and ridiculousness of the hobby. We are a gaming and hobby store specializing in Trading Card Games, Role-playing Games, Board and Family Games. We provide a clean and friendly environment to play game and meet new friends and players. We have Magic: The Gathering singles and booster. We also carry numerous games from Wizards of the Coast, Fantasy Flight Games, Paizo, Games Workshop Playroom and more. We sell all types of games. Everything from Board Games like Settlers of Catan, Roleplaying Games like Dungeons & Dragons, and Card Games like Magic: The Gathering. In addition to Magic: The gathering, we also sell Cardfight Vanguard, Force of Will, and other various card games. We also sell accessories for all your gaming needs. Sleeves, Dice, Playmats, Miniatures we have it all. We do in fact buy card singles from Magic: The Gathering, Cardfight Vanguard, and now Force of Will. Cards traded into the store are for store credit. We do offer cash for cards depending on the card. For cash you must talk to either Josh or Carlos. What can I spend my store credit on? You can use Store Credit on anything in the store. Discounts or specials do NOT apply to Store Credit. A product purchased with Store Credit is at MSRP + Tax. You can not use store credit for any tournament entries, consignment items, or Store Specials (Pre–ordered Items, CCG Booster Pack Specials, Discounted Items, Discount Mondays).